Gone are the days of self made Y cables. Welcome to the world of OMNITRONIC SD-28. 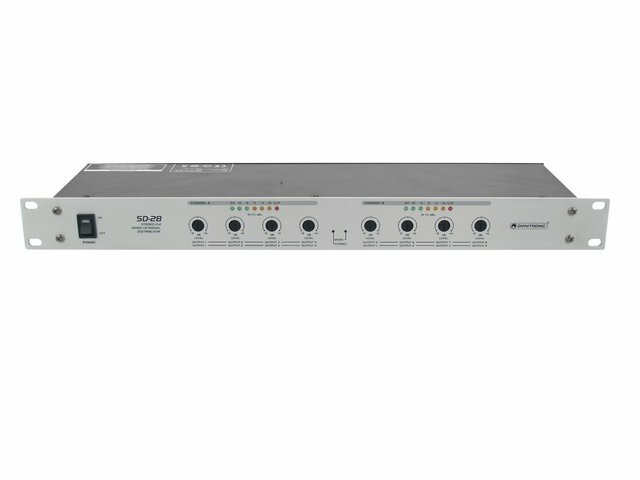 This little and maybe even a bit mousy looking box, which demands one height unit only, is truly an effective signal distributor, which splits 2 input signals to 4 in stereo mode and spreads 1 input signal to 8 exits in mono mode. 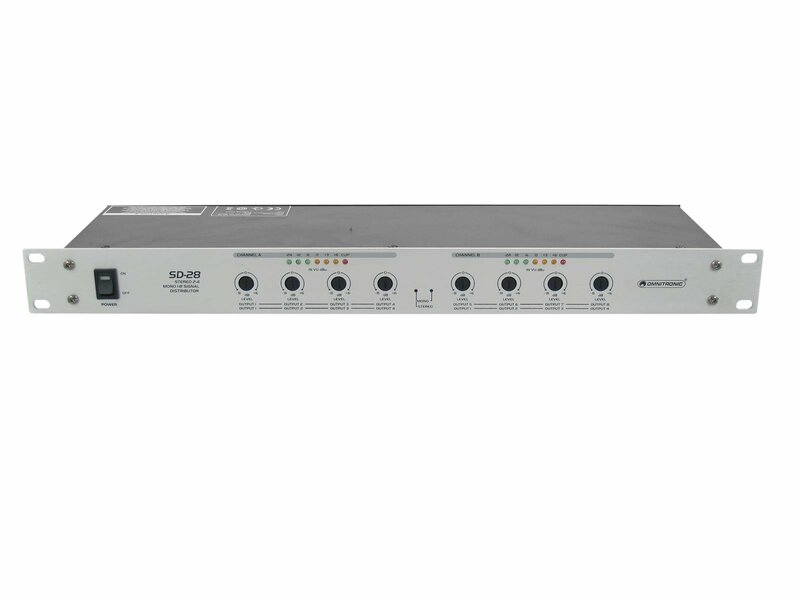 As the SD-28 is intended to be used for permanent installation, the particular level regulator has been recessed, to avoid a deliberate or accidental change of settings. The tuning of channels is, by the way, supported by clear LED-meters and therefore facilitated. Additionally, another SD-28 can be connected to improve its field of application. 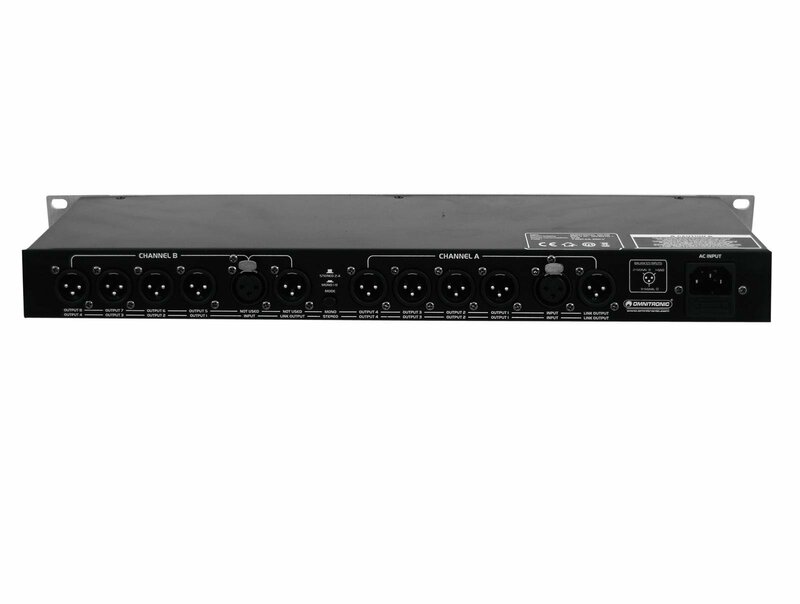 This system control distributor is best used for club installments or for multi stacked amplifiers. Get to know the world of this distributor. It's worth it.